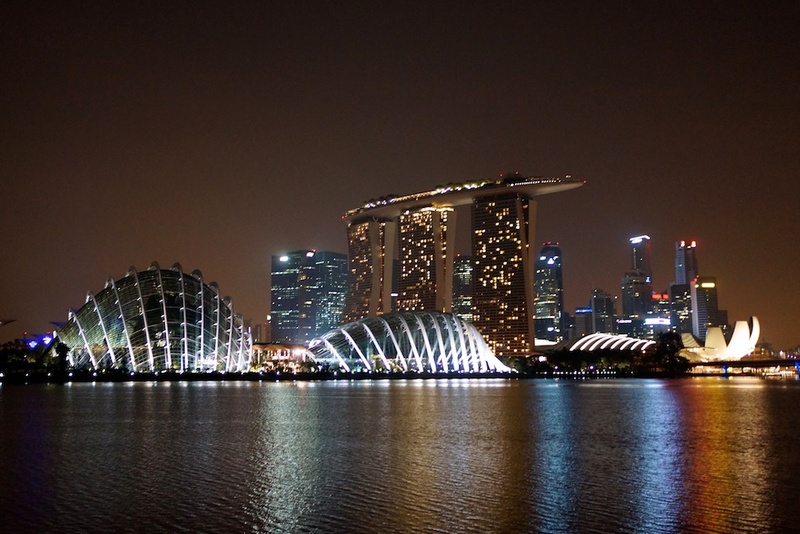 Singapore, officially the Republic of Singapore, is a sovereign city-state and island in Southeast Asia off the southern tip of Malaysia. 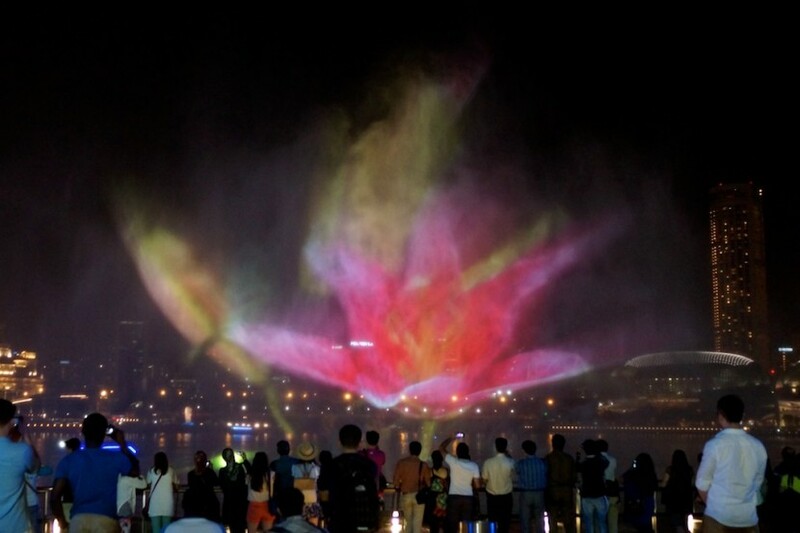 The original inhabitants of Singapore were Malay fisherman. In 1819, the British came to the island and developed a rich trading post by growing cash crops such as coffee, rubber, nutmeg and clove, with varying degrees of success. This caused many merchants and migrants to immigrate to the island in search of a better life. As a result, the population of this small island nation is highly diverse, and many Singaporeans can trace their ethnicity to Chinese, Malay, Indian and European ancestry. Singapore places highly in international rankings with regard to education, healthcare and government. It is one of the world’s major commercial hubs, with one of the world’s largest financial centers and busiest ports. The official Sinaporean currency is the Singapore Dollar (abbreviated SGD). Exchange rates fluctuate all the time but a good, conservative rule of thumb for quick estimations would be $10 SGD = $8 USD, 6 EUR, 5 GBP. Hotels in Singapore are expensive. 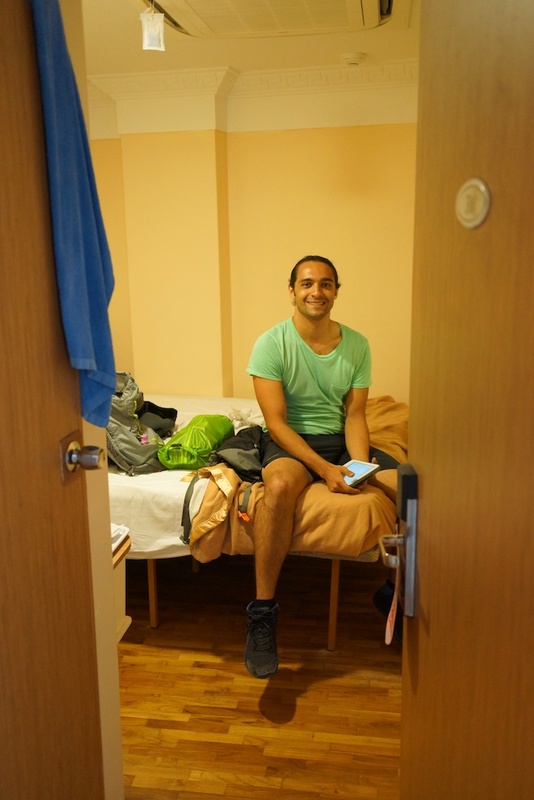 The cheapest places to spend the night are hostels or pod hotels, which cost around 38 SGD. 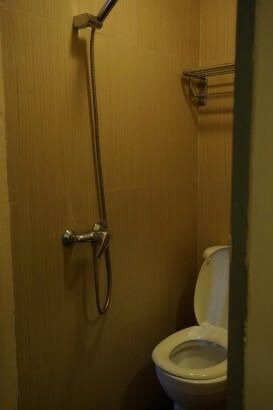 If you want some privacy, 75 SGD will get you a private room in a hotel in the Red Light District or in the middle of the hustle and bustle of Little India. If you’re lucky, the room will have hot water, AC and/or a window. This hotel is located right in the middle of Little India. We paid 100 SGD a night. We had a double bed, AC and hot water but no window. Our room was very tiny, with a bed about as big as the room itself. The staff was extremely friendly and helpful and let us keep our bikes downstairs in a storage room. This hotel is located right outside of Little India. We paid 105 SGD per night. We enjoyed this hotel because it was comfortable and we could fit our bikes in the room. It was very clean, had AC, a big window, hot water and free bottled water. 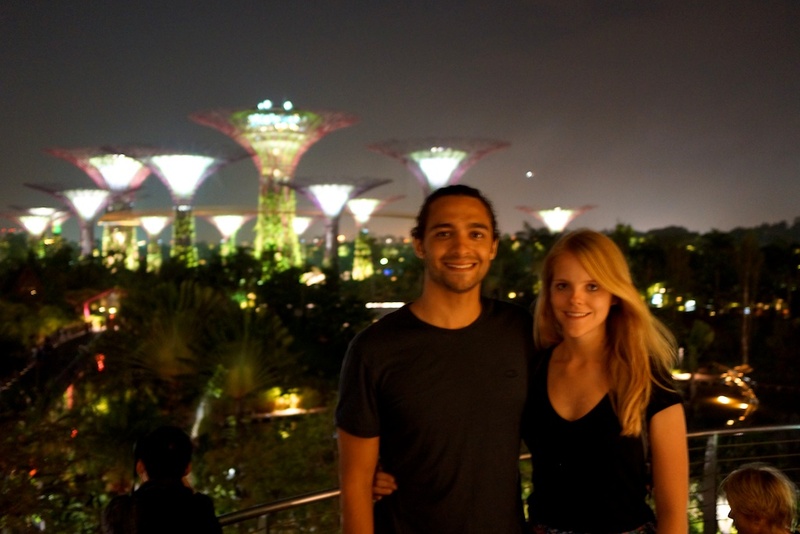 To save some money on accommodation in Singapore, we tried couch surfing for the first time. Our gracious couch surfing host was Jan, a German expat programmer with a passion for the culinary arts. 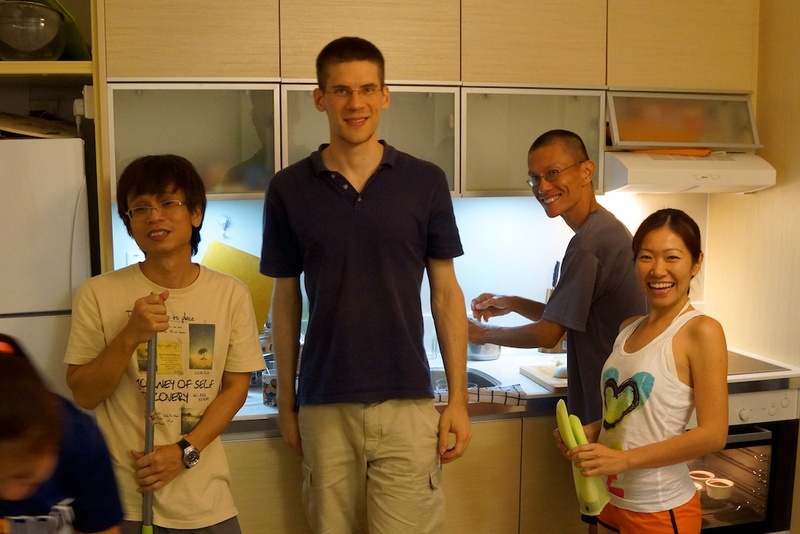 Jan was an incredible host during the three nights we spent at his apartment in the Central Business District of Singapore. When we arrived on the first day, he served us hot tea on a balcony overlooking the city and mapped out everything he thought we should see. He introduced us to his friends over a game of ultimate frisbee, and a few of his friends joined us after the game for an incredible homemade dinner at Jan’s apartment. The night ended with a midnight bike ride around Marina Bay. The city looked spectacular at night, all lit up over the bay. It was a wonderful day and great introduction to the city. We were lucky to get to know Jan and his friends! 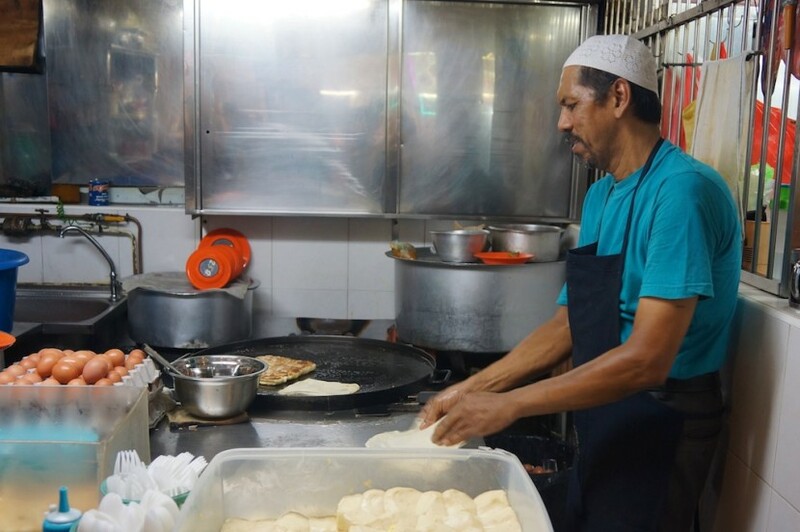 Roti prata is a popular dish throughout Southeast Asia, but we found it was at its best in Singapore. Roti is a flour pancake-like bread that is served with curry dipping sauce. It costs about 2 SGD. Literally “pulled tea”. 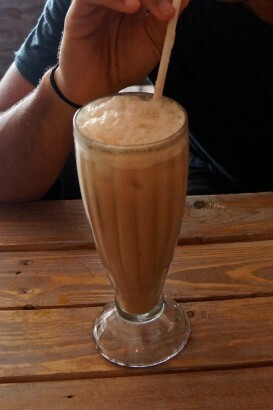 This sweet tea is prepared with black tea and condensed milk. It costs about 1.50 SGD. You can find it anywhere in Little India. Hot tea prepared with milk and ginger. Delicious. This was our absolute favorite food we had in Singapore. 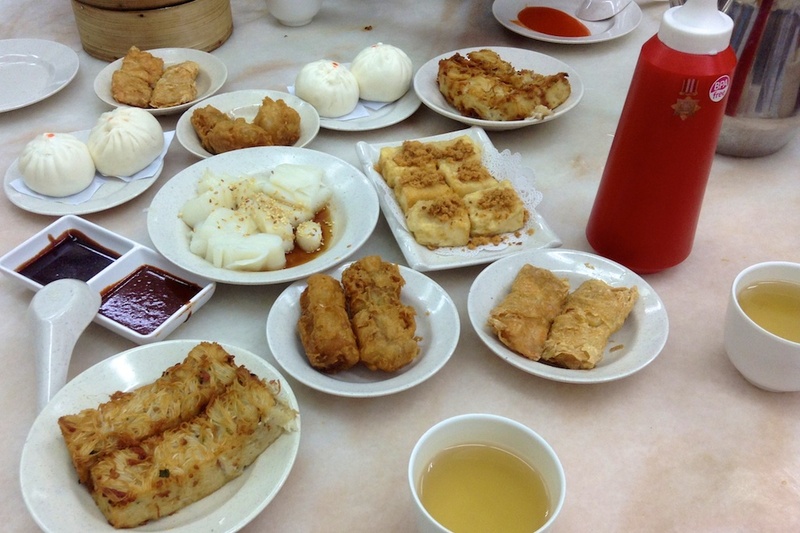 Dim Sum refers to Chinese dishes that are served on small plates. We ate this on three separate occasions. So delicious! We recommended one of the restaurants listed below. This was our favorite place to eat in Singapore. The food is absolutely delicious and affordable. It’s fun to try a little bit of everything. The first night we ate there we only had 3-4 dishes and it was 11 SGD. This place was located in the Marina Bay Link Mall in the Central Business District of Singapore. The entire menu consists of soups and small sandwiches. They really emphasize the ingredients they use. All over the walls they display pictures of veggies and herbs and list nutritional facts. The soup was good, but a little pricey. We got two bowls of soup and no drinks for 19 SGD. The Tekka Centre in Little India is pretty glorious. This little enclave of restaurants and shops has everything and anything your little heart desires to consume for dirt cheap. Our favorites included breakfast prata, teh tarik, biriyani ayam (chicken biriyani), and tandoori chicken. We recommend trying these two vendors below. 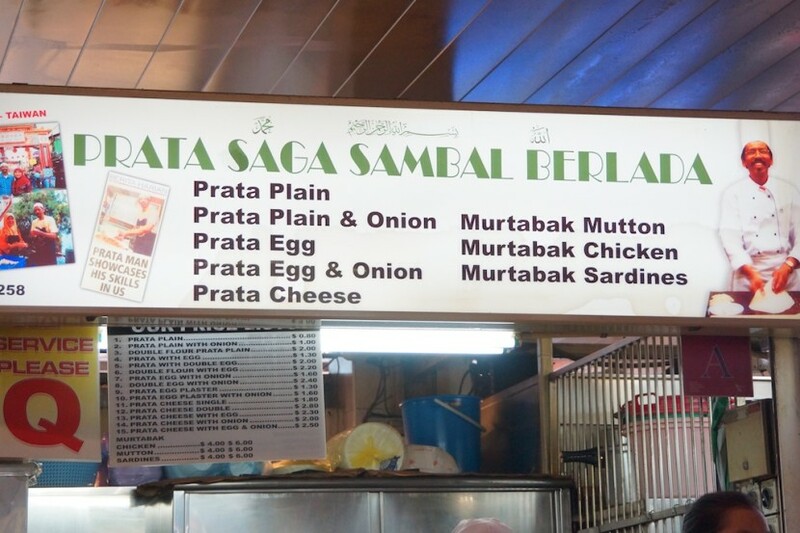 This place has the best roti prata. 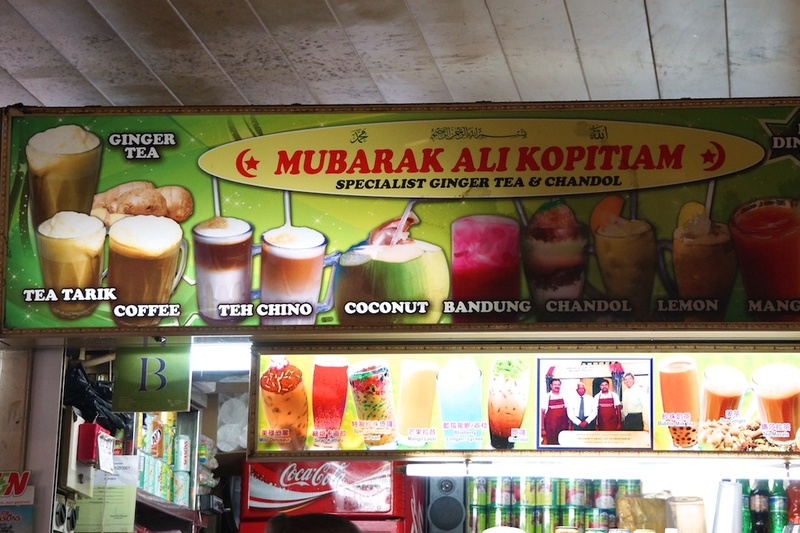 This is where you find the best teh tarik and teh halia. Water from the faucet is clean and safe to drink without being filtered or boiled. Bottled water was available everywhere for around 2 SGD. The people we met in Singapore were friendly. 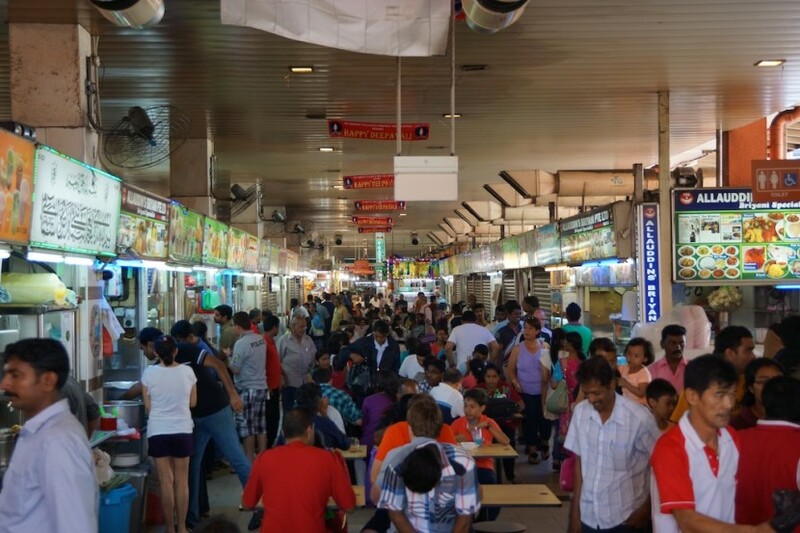 A mix of Chinese, Malay, Indian and Eurasian people make up most of the population. Singapore has four official languages: Chinese, Malay, English and Tamil. English is the most commonly used language. 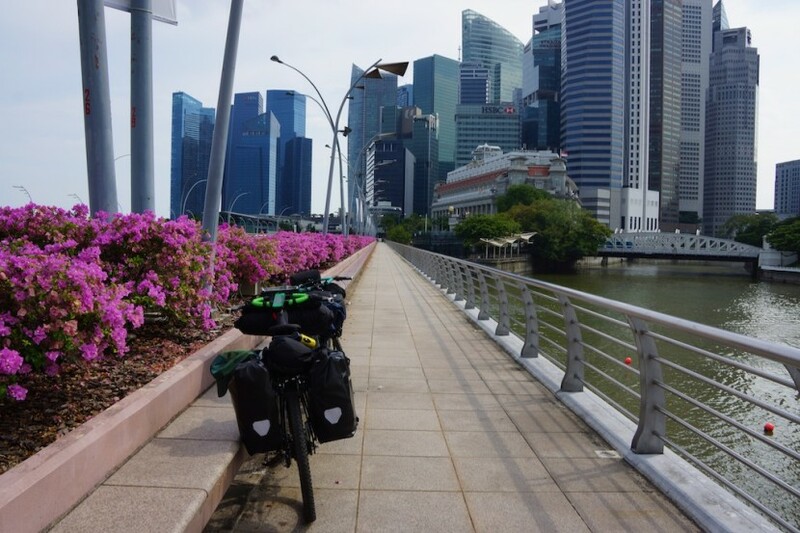 The roads in Singapore are very well maintained and mostly flat. Traffic, pedestrians, and one way streets made cycling in the city a little difficult. In certain parts of the city the sidewalks were nice and wide to cycle on. Our biggest day of cycling in Singapore was on the day we left the city. Despite cycling along a major highway most of the way to the Malaysian border, we felt safer along this course than in the city. To read more about this route, click on the image or link above. 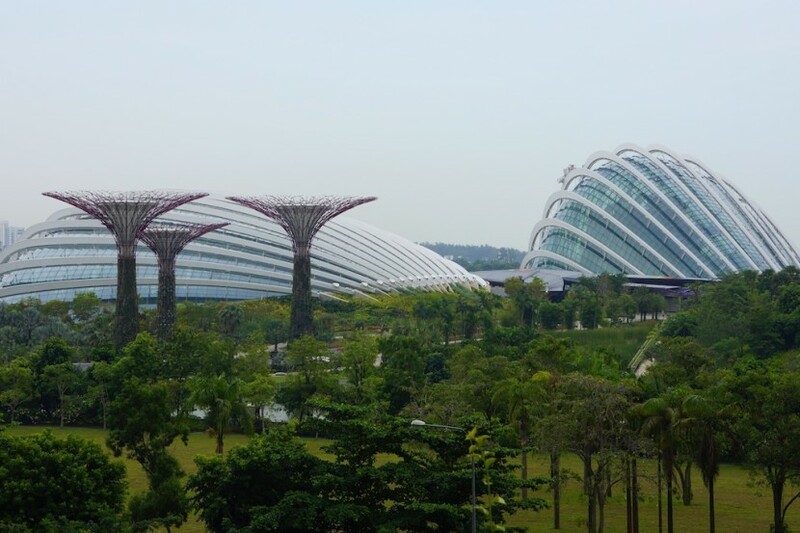 Gardens by the Bay features the Supertree Grove, Heritage Gardens and two conservatories–the flower dome, which is the largest climate-controlled greenhouse in the world, and the cloud forest, which features the world’s tallest indoor waterfall. 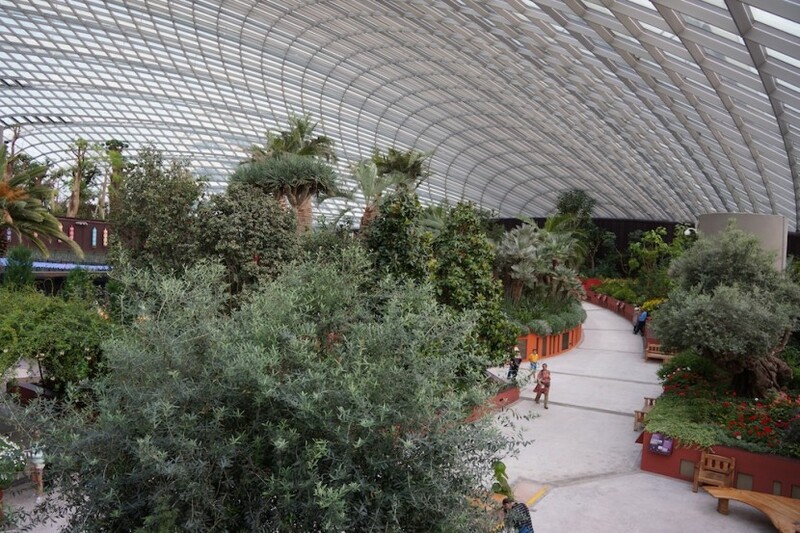 This is the cool, dry conservatory where you’ll enjoy a nice walk and discover many types of plants and flowers from all over the world. 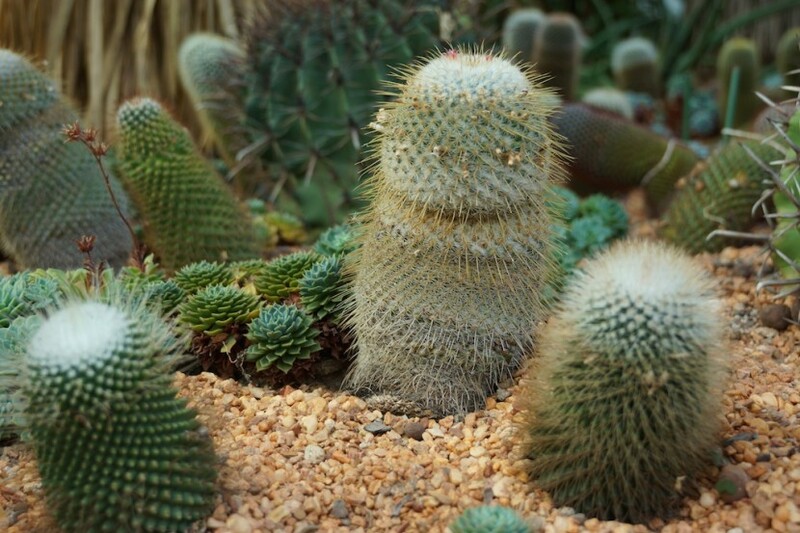 We found the phallic cactus display to be particularly entertaining. 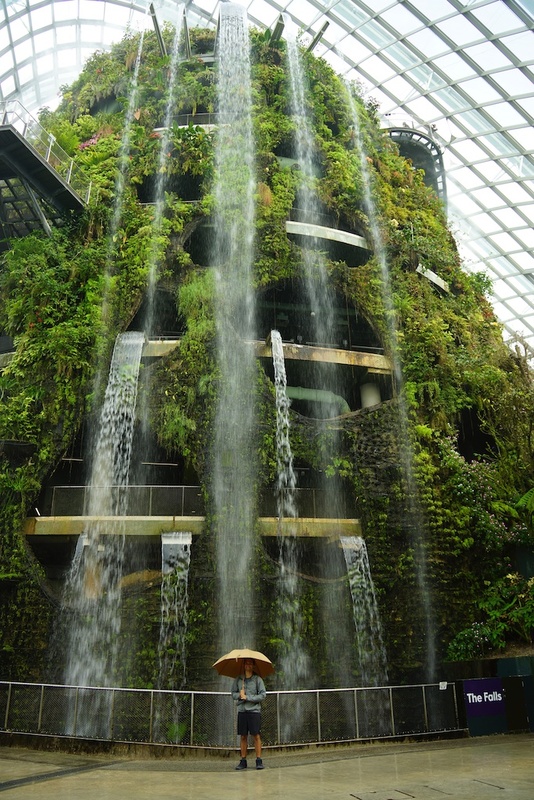 This is the cool, moist conservatory that features the world’s largest indoor waterfall and a 115 foot man-made mountain covered in some of the world’s most delicate and rare vegetation. 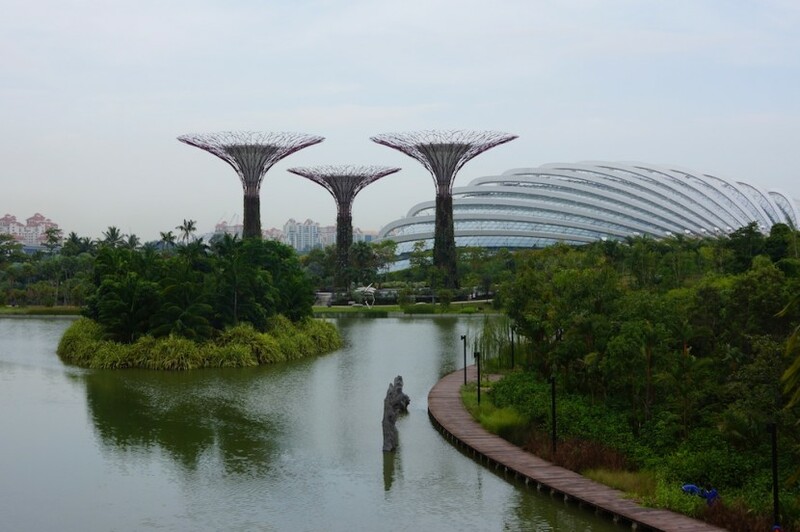 The Supertrees are amazing architectural feats that mimic the functions of actual trees. 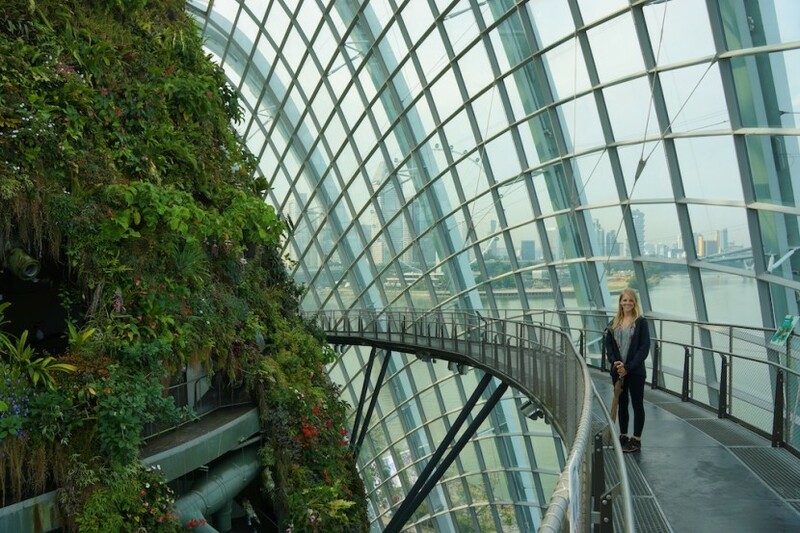 The trunks are covered in vertical gardens, and the trees collect rainwater which is used to irrigate the Gardens by the Bay and nearby fountain displays. They are equipped with photovoltaic cells that generate enough power to light the trees up each night. 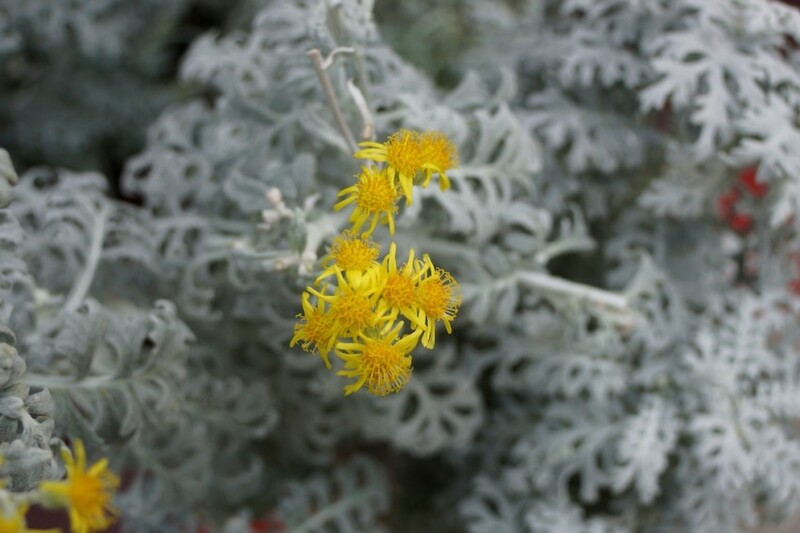 They even serve air intake and exhaust functions as part of the nearby conservatories’ cooling systems. A collection of four themed gardens that take you through the history and culture of Singapore’s three main ethnic groups and colonial past. While you certainly won’t regret walking through these beautiful gardens, we felt a little starved for context and information without a tour guide. There were displays in each garden with fascinating information about the plants and crops most important to each of the cultures represented: Chinese, Malay and Indian, while the colonial garden featured information about the cash crops that helped shape the history and economy of Singapore during the colonial era. A free water/laser/light/smoke/bubble/video show that happens every night at 8pm and 9:30pm. We didn’t really understand the point but the effects were pretty cool and you can’t beat free. 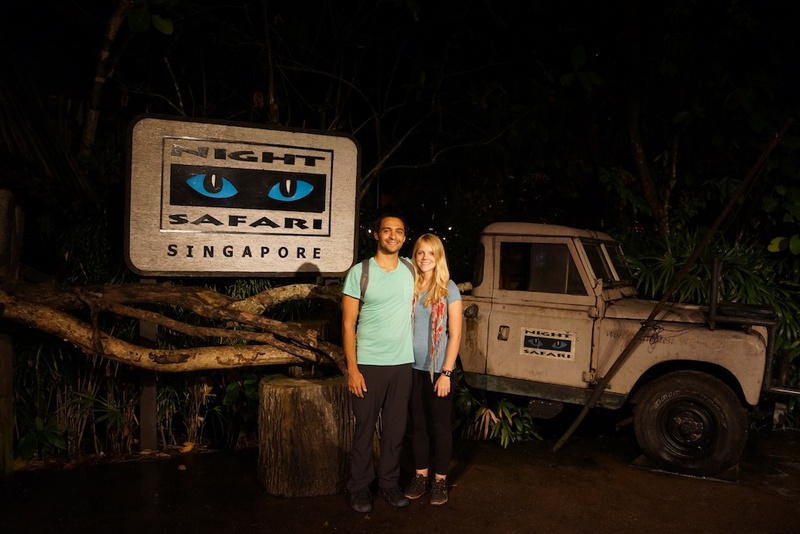 The Night Safari takes you on a trolly ride through a 99 acre park, where you can observe nocturnal animals like lions, rhinos, zebras, giraffes and elephants during the most active part of their day. You also have the chance to get off the trolly and explore to see animals like flying squirrels, badgers, beavers and leopards (if you can spot them). The most interesting exhibit was the bat cage. You enter the metal cage through a series of chain curtains and walk along a pathway, spotting massive bats hanging from trees just inches away from your face. Beware the bats flying above you; we got peed on. Getting around the city was easy for us because we had bicycles. If you don’t have a bicycle, you can use the Mass Rapid Transport (MRT). It’s cheap and gets you to most of the tourist attractions. Your other options are a taxi or bus. Singapore has one of the best healthcare infrastructures in the world. Tipping is not a common practice in Singapore, though I am sure it would be greatly appreciated. Chewing gum is not allowed in Singapore; importing or selling it could cost you up to $1,000 USD for the first offense and even jail time. Littering or spitting on the streets is prohibited and will result in a fine of $500 USD, community service and possible jail time. Eating in the MRT or jaywalking are prohibited and the fine would cost you up to $500 USD.